[15 mins. 42 secs.] Guests on this episode include the co-directors of the new documentary "Welcome to Leith" (First Run Features, 2015). White supremacist Craig Cobb tries to take over a small town in North Dakota. As his behavior becomes more threatening, residents wrestle with democratic principles as they try to get rid of their unwanted neighbor. [39 mins. 11 secs.] 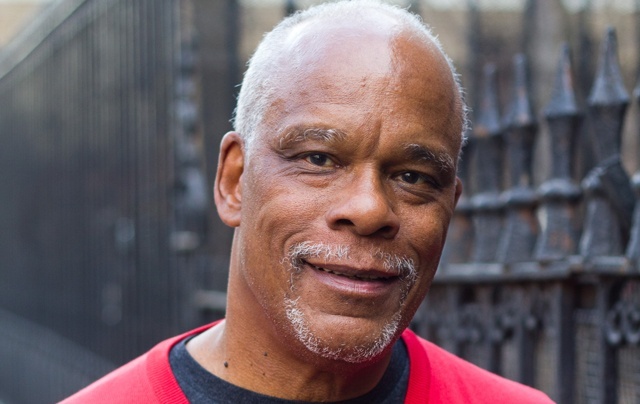 Filmmaker Stanley Nelson examines the rise of the Black Panther Party in the 1960s and its impact on civil rights and American culture in his new documentary "The Blank Panthers: Vanguard of the Revolution". [1 hr. 15 secs.] Director Oren Moverman discusses his new film starring Richard Gere, "Time Out of Mind" (IFC Films, 2015). A homeless man (Gere) bonds with a new friend (Ben Vereen) at New York's Bellevue Hospital while trying to repair his relationship with his estranged daughter (Jena Malone).